Middle East Film And Comic Con will take place from 5th to 7th of April 2018 at the Dubai World Trade Centre. The Middle East Film and Comic Con (MEFCC) is the largest pop-culture festival across the region. It brings together comic lovers, movie fans, artists, creators and creative souls from a variety of realms. All of them are drawn to the exhibition for its extensive showcasing of international popular culture, film, TV, sci-fi, animation, manga, comics, collectables and more. 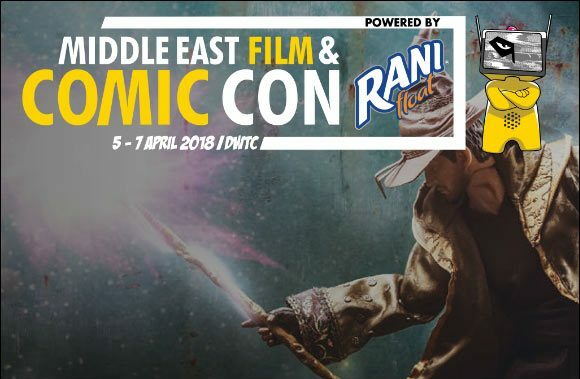 Over the past five years, the MEFCC phenomenon has attracted well over 200,000 fans, cosplayers, enthusiasts and industry leaders from across the world – and brought international film and pop stars to the Middle Eastern shores. It has also been instrumental in inspiring a new generation of artists and entrepreneurs who have used it as a launch pad for their artistic careers. In 2018, the show has its sights set on once again, offering never-before-seen content and promising the most memorable experience for fans who have in the past spent more than AED 500,000 over the three-day event.